Pizza. Just about everyone loves a good pizza. I know we do here at our home. 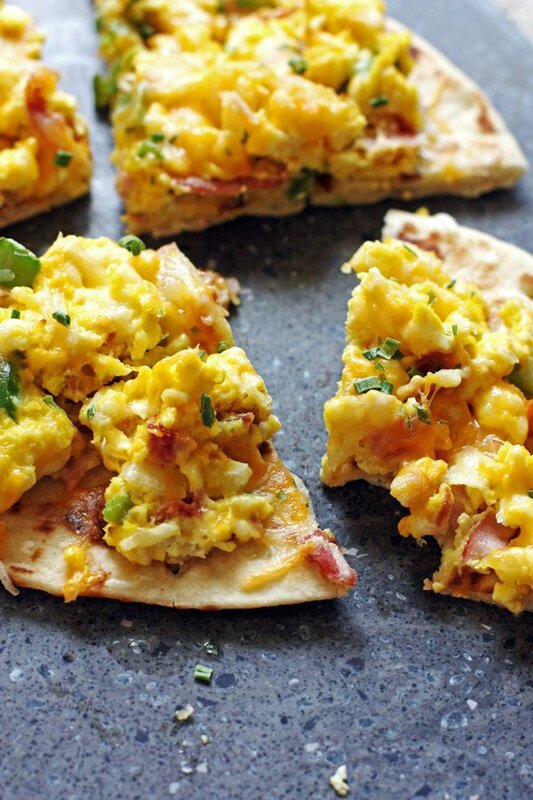 Not just pepperoni and cheese pizza…although that is probably our favorite. 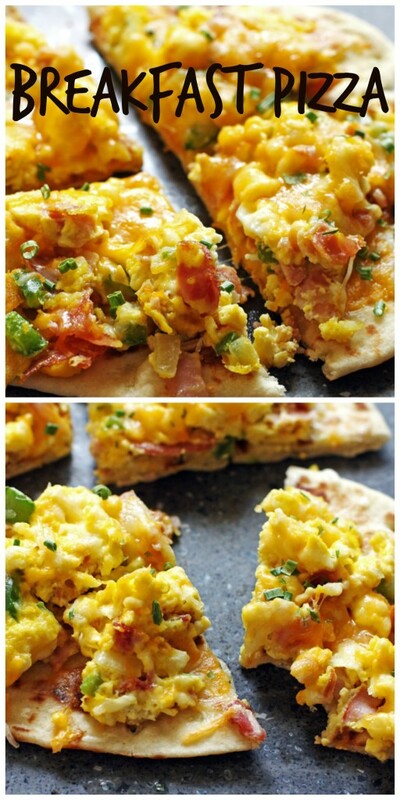 We have tried different pizza recipes and just made this one for Breakfast Pizza recently. It was a hit! Like I have mentioned before, we like to try and have something fun for our weekend breakfasts. This is one of those recipes. You probably have most of these ingredients in your fridge or pantry already. We like to use ham but you can substitute either bacon or sausage if you’d like. And, it’s pretty simple to make. 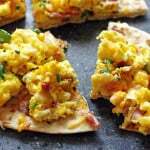 You will need to make scrambled eggs first and then add it to the flat bread crust. Our special ingredient for our scrambled eggs is hot sauce. This idea came from my husband who loves hot sauce. It does not make the eggs hot or spicy…trust me I would not be eating them if that was the case! I think the hot sauce just gives a little kick to the eggs. While your eggs are cooking, preheat your oven to 425 degrees. Cover each flat bread with a little olive oil on one side. 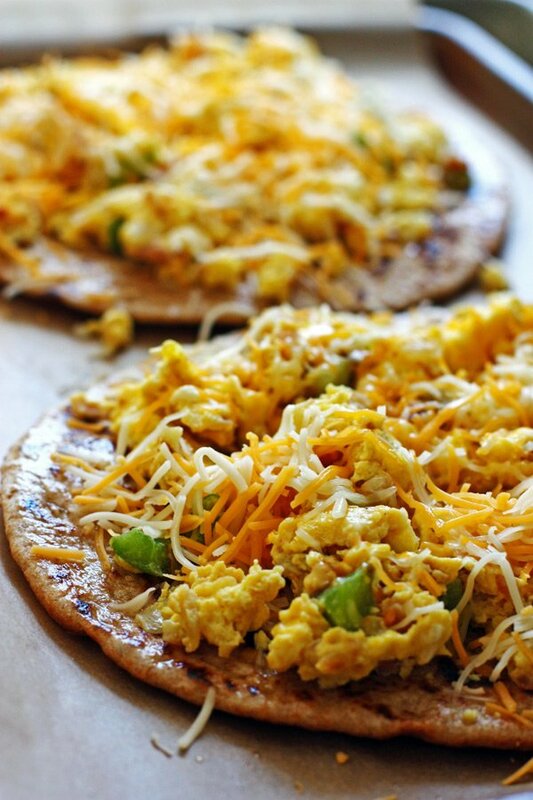 Once you have your eggs cooked, scoop about ¾ cup egg mixture to each flat bread (with the olive oil side facing up). 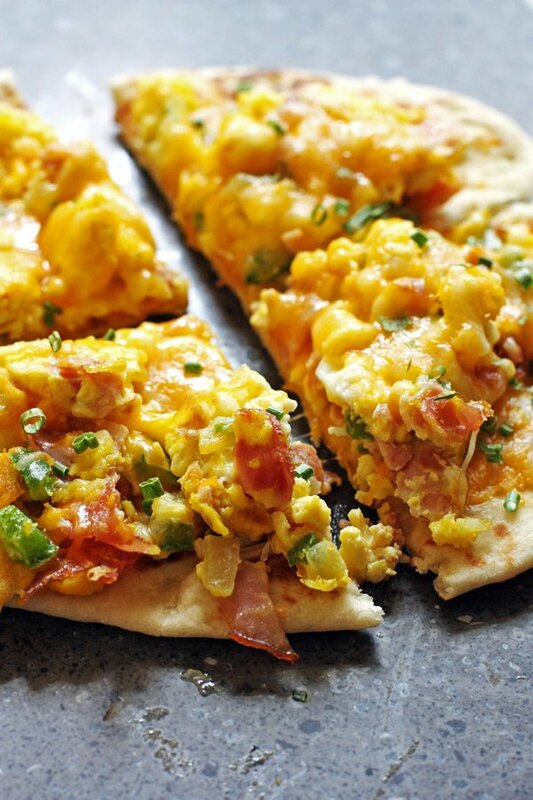 Sprinkle about ¼ cup cheese over the eggs on each pizza. The type of cheese you use is totally up to you. We like to use monterey jack or mozzarella. Place them on the covered cookie sheet at 425 degrees for 5-8 minutes, until the cheese is melted and the edges are slightly browned. Serve warm. Garnish with chives, optional. Delicious! Stay tuned for more tried and true yummy pizza recipes! 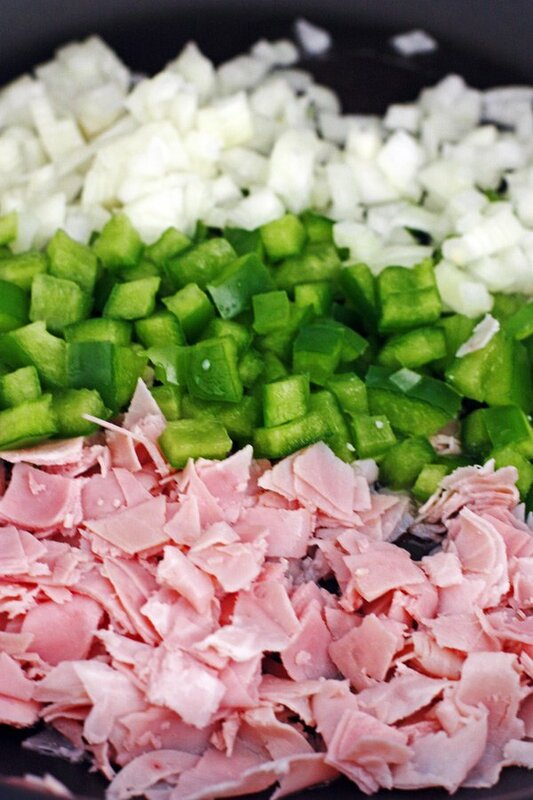 Place olive oil, diced onion, pepper and ham in skillet on medium heat. Cook until tender. 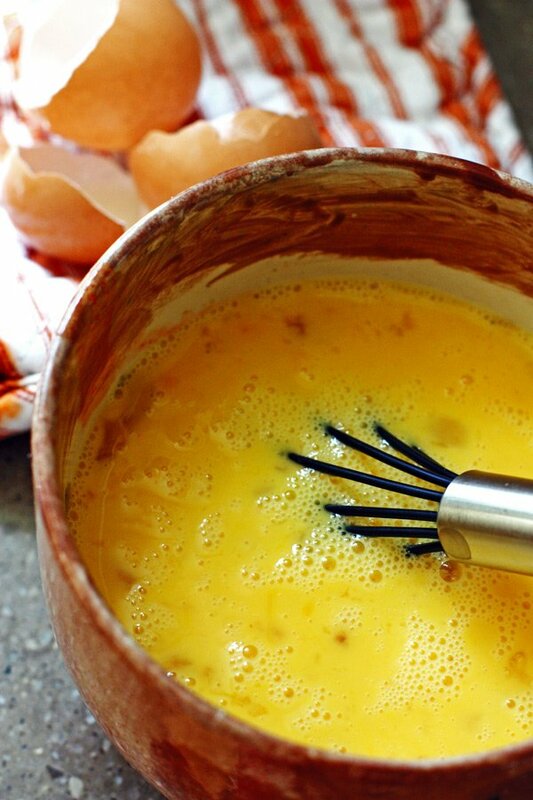 Whisk together the eggs, milk and hot sauce in a bowl. Add to the skillet. Cook until eggs are light and fluffy, stirring occasionally. Preheat oven to 425 degrees while eggs are cooking. Cover your cookie sheet with parchment paper or foil. Brush a little olive oil over one side of each flat bread. Leave olive oil side facing up. 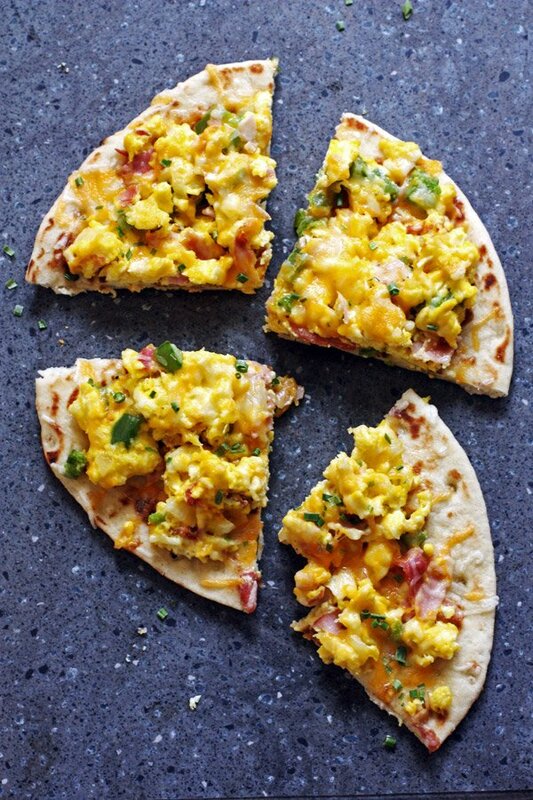 Once eggs are cooked, scoop eggs onto the flatbread (about ¾ cup). Sprinkle cheese over the eggs (about ¼ cup). Place in the oven and cook 5-8 minutes.